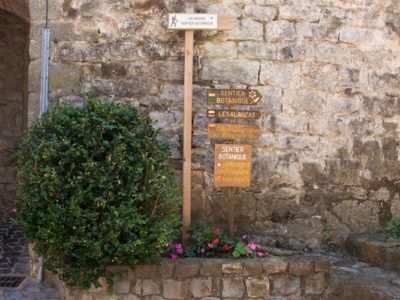 From Naves the beauty of the Ardèche is on your doorstep and whether you are a seasoned hiker or a novice walker we can advise you on the best routes. André, as a seasoned backpacker, can advise you each morning and provide you with the necessary information for an excursion tailored to your wishes and your abilities. Depending on his schedule, and if you wish, André will be happy to guide your walk. 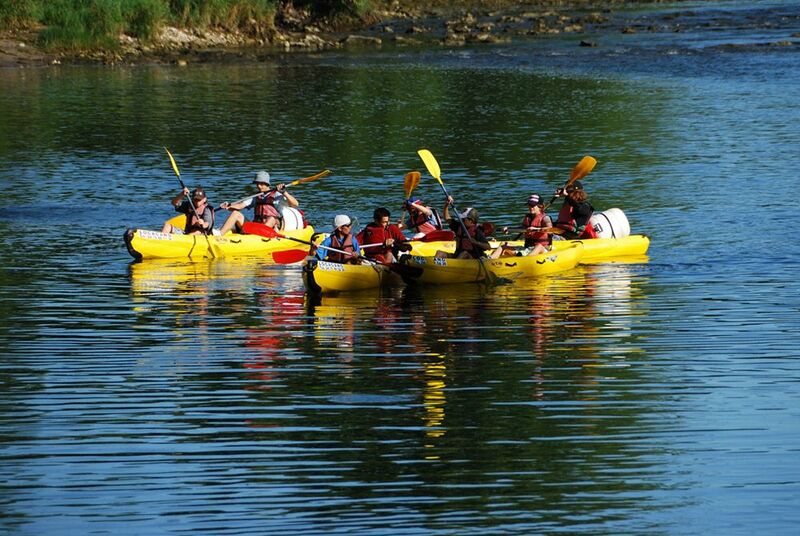 You can discover the local rivers by canoe or kayak, especially the Chassezac, which runs near to Naves. This river winds its way between the cliffs of the Païolive wood and is home to many small beaches that will delight young and old. Simply visiting the river to bathe or admire the scenery is also recommended. 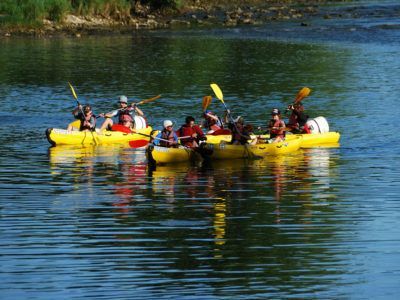 There are two rental companies near to the house and the river and they provide boats and equipment for people of all abilities. A few kilometres from the house the Foussac equestrian centre welcomes you for an hour up to a whole day hikes; introductory or refresher courses are offered. Discover the Ardèche landscape to the rhythm of the horse or pony. If you like a thrill see the Ardèche from the sky. The Barbule aux Vans paragliding school can help to launch you off the Serre de Barre mountain, which overlooks Naves, for a very different view of the area. 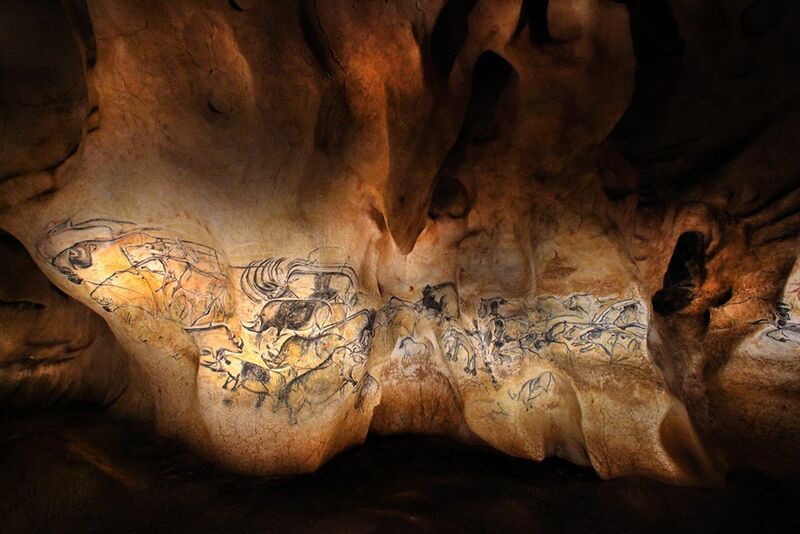 The Ardèche is a land of prehistory full of many caves and chasms formed over millions of years. 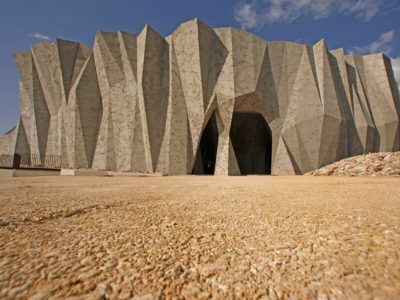 Historically the most impressive is the Unesco world heritage site, Grotte de Chauvet, near Pont d’Arc (about 40 minutes away). 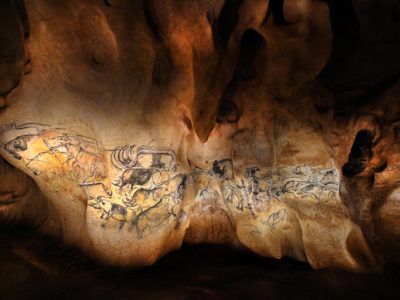 This cavern dates to 18,000 years before Lascaux and you can visit the replica and marvel at the prehistoric art and the technology used to preserve this history for generations to come. Equally amazing are the geological marvels you can visit deep under the surface like l’Aven d’Orgnac, la Cocalière and la Grotte de la Madeleine. There are many castles that will allow you to relive the medieval glory of the Vivarais and if you like Naves, there are many other beautiful villages in the area to explore. 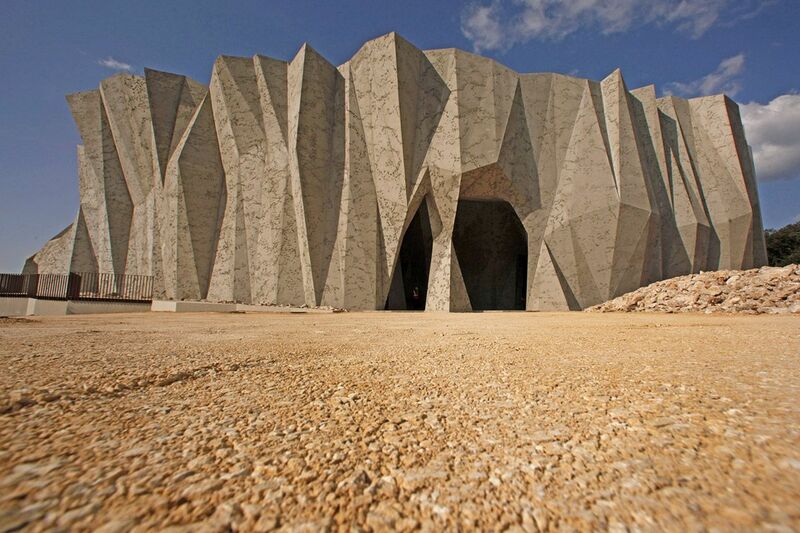 There are museums dedicated to the agricultural history of the Ardèche including sweet chestnut, silk and lavender. Don’t hesitate to ask us for our recommendations. 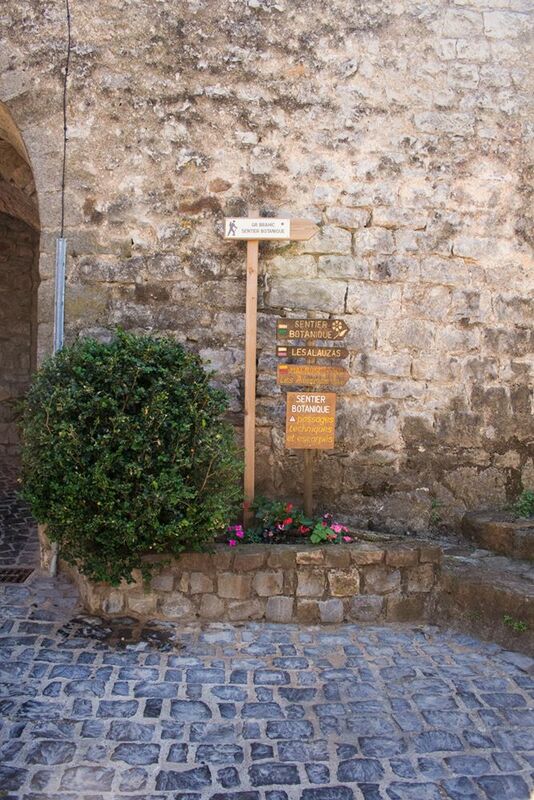 The Ardèche is a country of vineyards – too many to mention here. We can only advise you to visit and taste for yourself and be surprised by the quality of the wines on offer. Less than 30 minutes from the house there are two 9-hole golf courses of very different character. “Castle Bournet golf” is on the plain and la “Garde Guérin golf” is on the mountainside. Both welcome you to play for the day or can provide instruction. The area has quiet roads and beautiful terrain ideal for exploring on two wheels. Whether by road or mountain bikes and even electrically assisted bikes there are several rental locations ready to assist you.